What do you know more about Nicki Minaj? Is it her voice? Her live performance? Or her colorful wig? I don't really listen to her music. Heck, I barely listen to recent music the industry has to offer. I'm a pretty much dinosaur when it comes to music. The best songs for me is those releasing in 1990 to early 2000. Anyway, Nicki Minaj is actually a Trinidadian. She was later raised in Jamaica before moving to Queens, New York. What makes her become the star she is today is when she met Lil' Wayne. The rapper noticed her talent and decided to back her up. By the way, perhaps few of you notice it but Nicki is also pretty good in voice acting. She plays the role of Manny's daughter, Peaches in Ice Age: The Continental Drift. Although the movie received mostly negative reviews, I still believe Nicki's performance is praiseworthy. 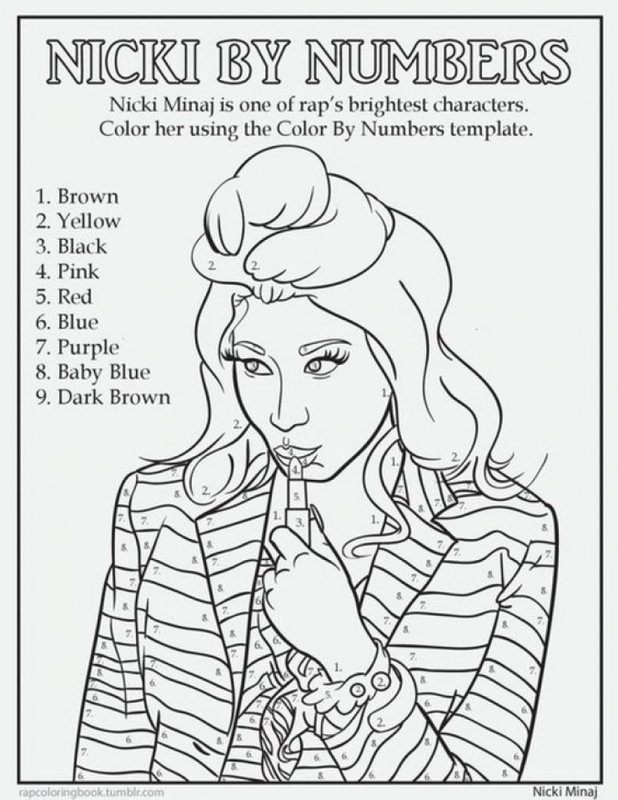 Now, if you've been looking for some Nicky Minaj coloring pages, you can find a few of them below. These images are not my property, so if you want to use them, you'd better make sure you use them for personal use only. You can save all of these images to your computer and then print them on your own. Since Nicki always wears colorful wig, it must be a lot of fun to color these printable images. You don't need to be too realistic with them. Just picture what wig colors Nicki would look most beautiful with. I've seen some girl color her wig with silver blonde color then gradually turn to pink and purple. It looks nice to the eyes. 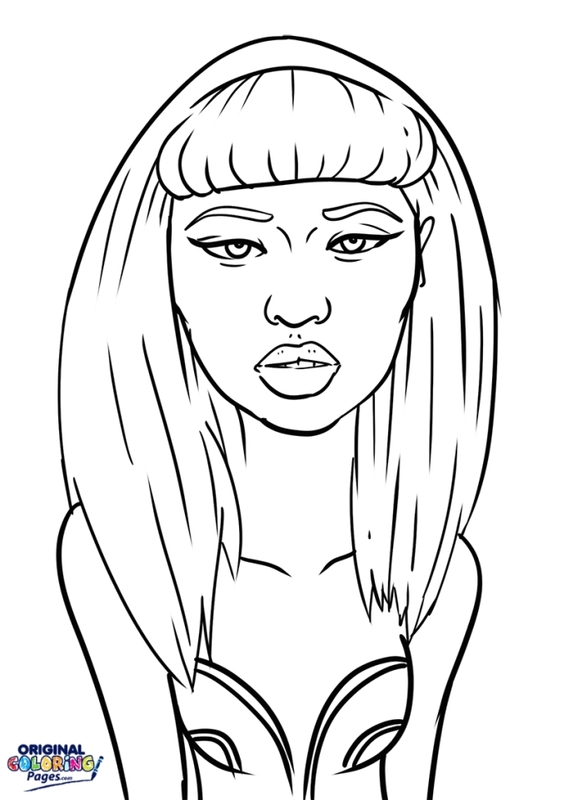 Anyhow, hope you enjoy these Nicki Minaj coloring pages. Related Posts "Nicki Minaj Coloring Pages"